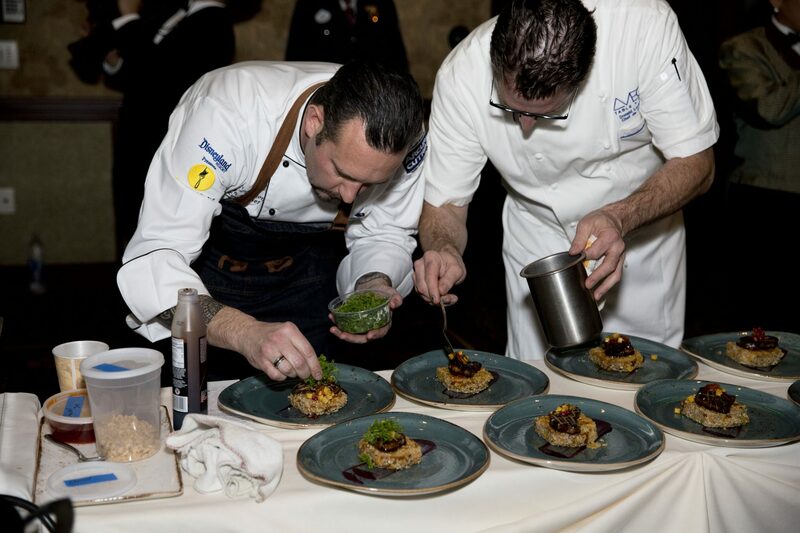 Two Dana Point chefs participated in Illumination Foundation’s OC Chef’s Table where they raised $680,000 for the construction of a new emergency house for homeless families with children on March 12. Thirty-two chefs from the Orange County participated in the annual event at Disney’s Grand California Hotel and Spa including Chef Michael Doctuerlo from Waterman’s Harbor and Chef Collin Thorton of AVEO Monarch Beach at Monarch Beach Resort. During the event Doctulero and Chef Jennifer Ravalo of SuShe Art competed in a chef battle to see who could make the most creative sushi. The chefs created a five-course meal prepared table side that reflected the personality and brand of their restaurants. Each chef was personally chosen to host a table due to their earned accolades for their culinary skills or innovations.